A 3GT (3 Guys Telescope) Production – Steve Mandel, Mike Mayda and Don Goldman. Data acquired with CCDAutoPilot 2.53. 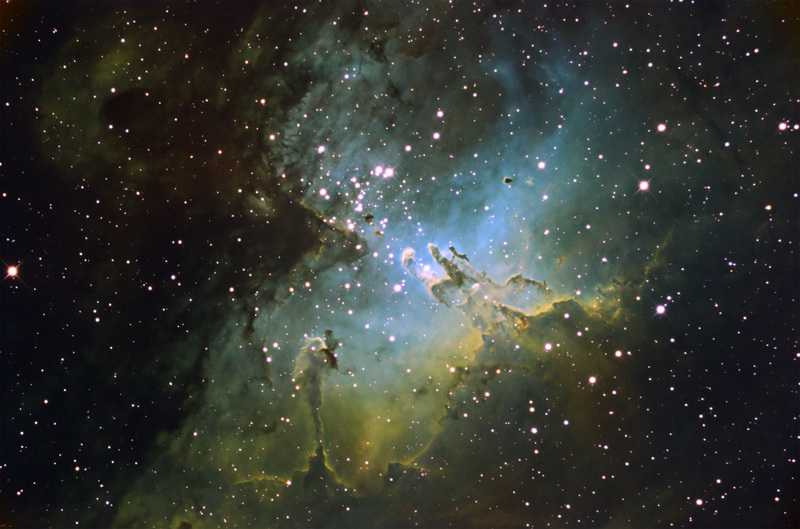 Processed with darks, biases and sky flats in CCDStack. Combined in Photoshop CS using clipped layer mask, per Dr. Travis Rector’s talk at AIC2004.